I don’t know about you guys, but I absolutely love being at home. I am surrounded by those I love, I can have an ice cold Pepsi whenever I want, and I am living out of my actual home, not a suitcase in another hostel. That being said, my love for traveling outweighs my love of staying home. Despite my dwindling lack of funds (thank you, tuition) I try to travel as much as possible to wherever I can. This summer, I was able to travel close to home and experience what those visiting my hometown got to see. My wonderful boyfriend, Christian, shares my love of travel and we set off to explore California. For those of you who think California is nothing but ocean-front property and celebrities, I hate to burst your bubble – but you’re wrong. Visalia is a quaint little town that sits at the base of the majestic Sierra Nevada Mountains. The Sierra Nevadas are home to Mount Whitney, the highest peak in the continental United States. They include stunning views, such as the ones found in Yosemite, Kings, and Sequoia National Parks. 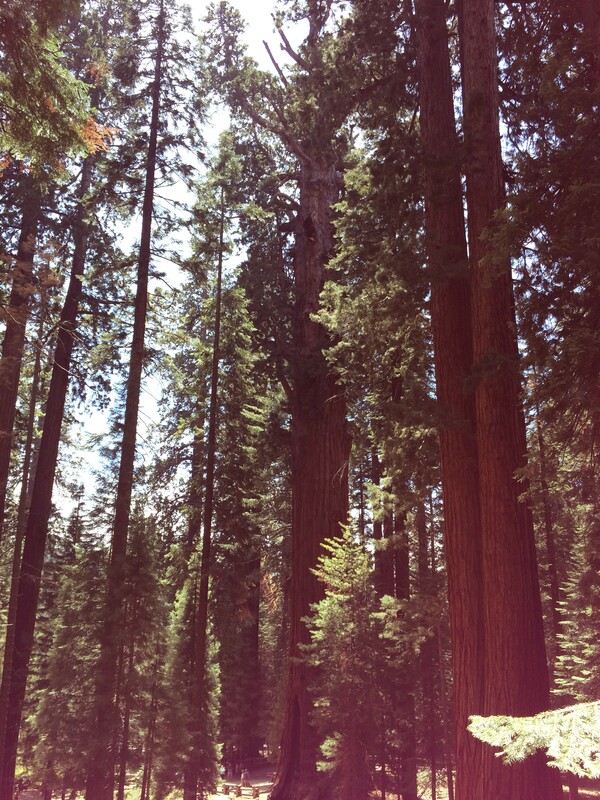 Sequoia National Park is home to the General Sherman, the largest tree in the world. 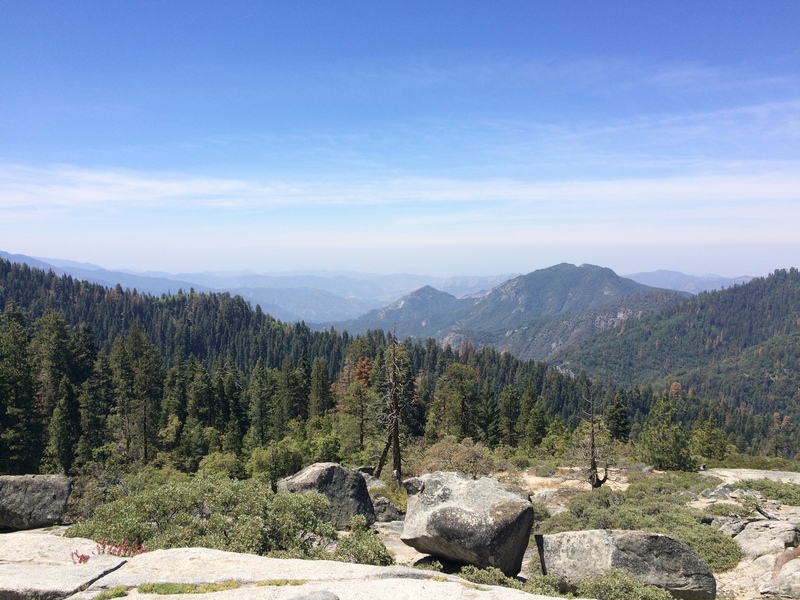 Thankfully for us, Sequoia National Park is just a quick 30-minute drive up the road. For those of you interested in traveling to the Sequoias, I recommend making Visalia your pit stop. From there, you can rent a car, take a shuttle, and find great accommodation! Seriously, it’s the best place to stay, you don’t want to stay in Three Rivers. There are couchsurfers, AirBNB, and hotels available in Visalia. I recommend renting a car to explore Sequoia National Park. It’s the most efficient way to see the park, in my opinion. Another option is to take a shuttle that runs from the Visalia train station. It will drop you off inside the park where you can take another shuttle to the major sites. For more information, check out the website here. Anyways, back to my adventures in the Sequoias. Christian and I left fairly early in the morning, after getting some sandwiches at the grocery store for lunch. I was the driver because I wanted to hone my driving skills on the winding roads. So the two of us hopped in my car and headed up the road. 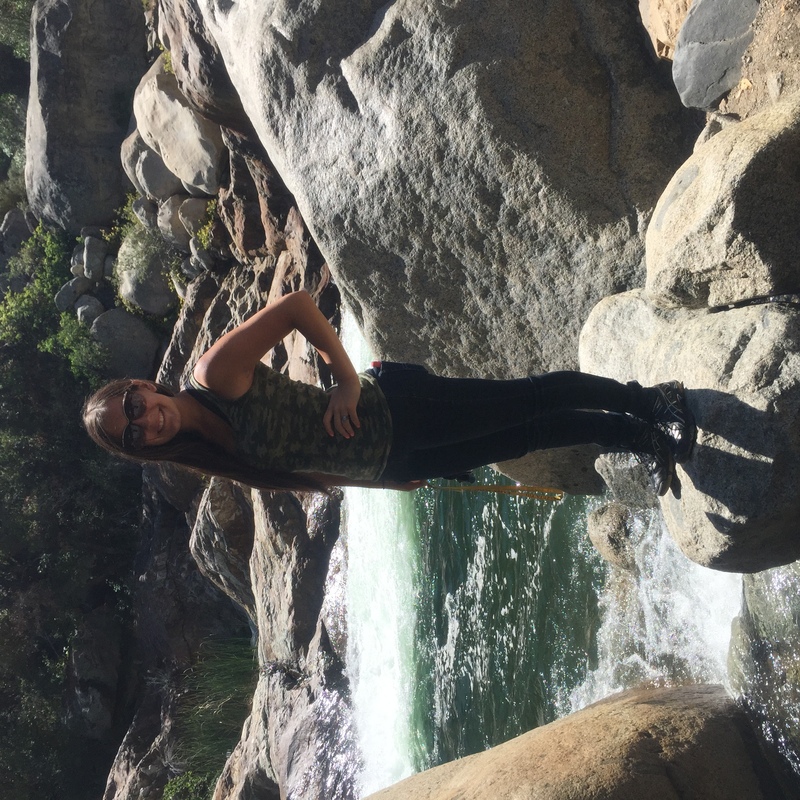 It was supposed to be in the upper-70s that day so I wore jeans to avoid getting bit by something while hiking. Bad mistake. I had a national parks pass and was able to get in to the park for free, which is a definite bonus! If you are visiting multiple national parks, I suggest investing in one. Our first stop of the day was the visitors center. Despite living in the area, this was my first time actually visiting the visitors center. Ironic, isn’t it? 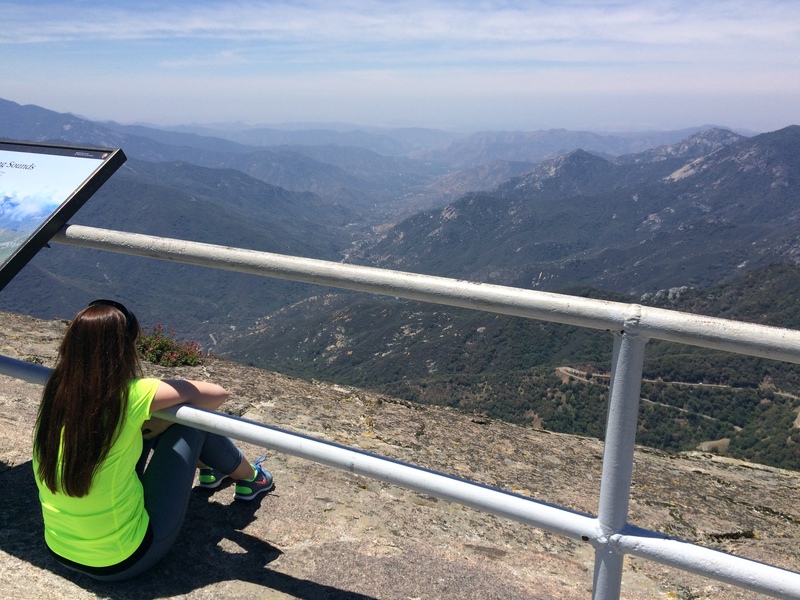 It was neat to check out, and then the two of us went to Moro Rock, the granite behemoth that somebody thought would be fun to climb. It actually is climbable and has stairs leading up to the top. It might seem like a bit of a hike, but if you’re physically able to, I highly recommend it. There were even a few older women making the trek and if they can do it, I’m sure you can. We hiked to the very top, my legs complaining as I regretted wearing jeans. It was warm, at least 85 degrees. And for some reason, I left my water bottle in the car. BAD IDEA. Don’t be like me, bring your water. 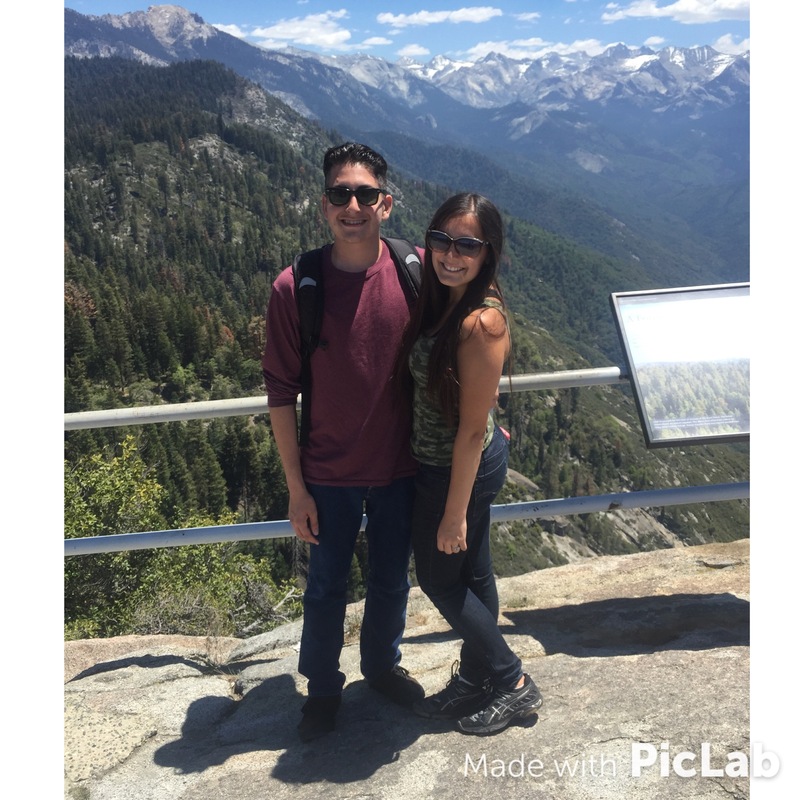 When we finally made it up to the top, I was shocked at how beautiful the Sierra Nevadas were. The smog that usually plagues the valley will sometimes hide the mountains from us. Now, we had front row seats to the beauty of nature. Then came the awkward part. I refuse to cave into the selfie stick-craze to take pictures on vacation. Personally, I think they are a nuisance. However, I understand their usefulness for travelers who aren’t comfortable handing their camera off to a stranger to take a picture of them. They’re just not for me. So, the only option was to kindly ask a stranger to take a picture of me and Christian. Thankfully, the gal I asked was super friendly and took this great picture of us. Aren’t we cute? The trip down the rock was much easier than the trip up and we decided it would be a good time for lunch. Our cheese had slightly melted but we ate the sandwiches happily. After our scrumptious meal, we headed to the museum. I had never been to the museum before, so we parked in a parking lot to walk to the museum down the bluff. Christian and I decided to take the scenic route and enjoyed looking at the scenery. We soon learned that there wasn’t a museum on that side of the road. It was back where we had parked. Nevertheless, we enjoyed the scenery that we found. It goes to show how getting lost can sometimes yield the greatest results. Despite the little detour, we finally arrived at the museum. It was small, but very informative. We knew our next stop was going to be the General Sherman and I was excited to see it again. On our way, we saw a bear walking through a meadow so I slowed down so we could take pictures. It was so cool to see one up close. We finally reached the General Sherman, or at least the parking to see the Giant Sequoia tree. It turns out that we had to hike down a pathway to get to the tree. The descent was fine but climbing back up was no easy feat. I did make one very insightful discovery though. If you want to take a picture of something very tall (e.g. a tree or skyscraper) put your phone on panorama mode and take a panorama horizontally. It will let you capture the entire subject in just one picture! By this point, it was getting late, so Christian and I decided to head for home. We were exhausted and hungry. The only solution to our hunger was to stop at Reimer’s Candy and Gifts, the best ice cream known to mankind. Reimer’s is a candy shop, ice cream shop, and Christmas shop. If you go to the Sequoias, you have to stop at Reimer’s. It will be the perfect end to your trip! Thanks for this post! I am planning a trip to Sequoia National Park. I appreciate all the info. Where can I get the National Park Pass? 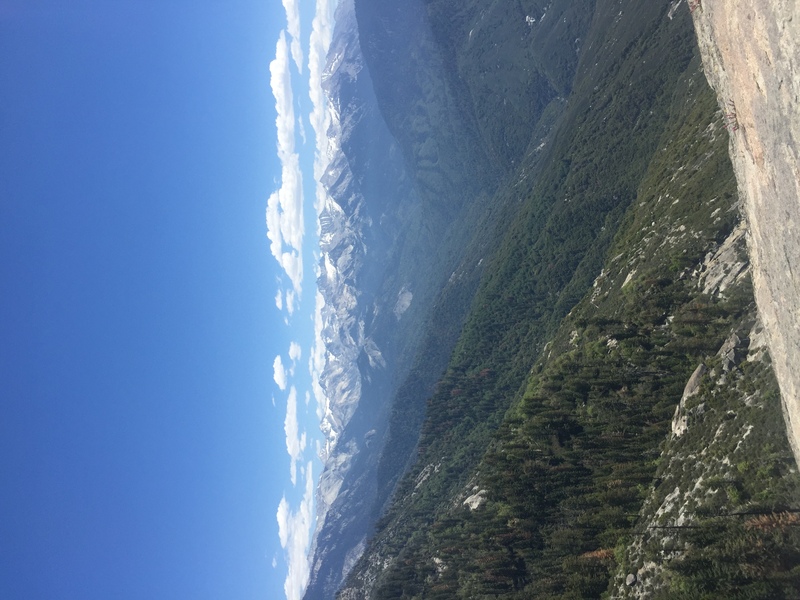 The National Park Pass can be purchased at the gate to the Sequoia National Park. They can also be purchased online at http://store.usgs.gov/pass/index.html and the pass is $80 for one year! Glad you enjoyed it and I hope you have fun on your trip!